In 2016, four of the UK’s exceptional young string players came together to form the Albion Quartet, rapidly establishing themselves on the international stage. Current engagements include concerts at the Wigmore Hall (London), the Louvre (Paris) and the Concertgebouw (Amsterdam). The quartet broadcasts frequently on BBC Radio 3 and is recording a Dvořák cycle for Signum Records. Festival performances and residencies over 2017-18 included Båstad Festival (Sweden), Festival of Music in Franconia (Germany), Hay Festival (UK; broadcast live on Radio 3), Honeymead Festival (UK), Rhine Valley Music Festival (Germany), Ryedale Festival (UK), Sainte-Mère Festival (France) and Stratford Festival of Words and Music (UK). Other residencies include the Chapelle Musicale Reine Elisabeth (Belgium) and Snape Maltings (UK) and a long-term residency for the London Chamber Music Society at Kings Place. The Albion Quartet collaborates with a range of artists, including the Czech Philharmonic (for the premiere recording of Richard Blackford’s Kalon), baritone Matthew Rose, and violists Douglas Paterson and Miguel da Silva. Passionate about education, the quartet holds a residency at the Royal Welsh College of Music & Drama, where they regularly give masterclasses and performances in the Dora Stoutzker Hall, and are Quartet-in-Residence at Gresham’s School, where they opened the new Britten Concert Hall in 2017. As a Cavatina Chamber Music Trust ensemble, they also give workshops at primary schools. The members of the quartet play on a fine collection of instruments, including a Stradivarius and a Guarnerius. Tamsin Waley-Cohen, born in London in 1986, enjoys an adventurous and varied career. In addition to concerts with the Royal Philharmonic, London Philharmonic and BBC orchestras, amongst others, she has been associate artist with the Orchestra of the Swan and works with conductors including Andrew Litton and Tamás Vásáry. She enjoys a duo partnership with Huw Watkins, whose Concertino she premiered, and together they have recorded for Champs Hill and Signum Records, for whom she is a Signum Classics Artist. With her sister, composer Freya Waley-Cohen, and architects Finbarr O’Dempsey and Andrew Skulina, she holds an Open Space residency at Aldeburgh. Her love of chamber music led her to start the Honeymead Festival, and she is also artistic director of the Sunday Series at London’s Tricycle Theatre. In 2016-2017 she was a recipient of the ECHO Rising Stars Awards. She studied at the Royal College of Music and her teachers included Itzhak Rashkovsky, Ruggiero Ricci, and András Keller. Tamsin is leader of the Albion Quartet. Emma Parker, graduated in 2005 from the Royal Academy of Music in London with first class honours degrees in both undergraduate and postgraduate performance. She was a pupil of Howard Davis of the Alberni Quartet, and Marianne Thorsen of the Nash Ensemble and the Leopold Trio. Emma also plays for the Badke Quartet and enjoys a busy and varied freelance career. In 2013 she was appointed principal 2nd violin with the Manchester Camerata. She performs with chamber orchestras such as the Aurora Orchestra, London Mozart Players, Northern Sinfonia, Heritage Orchestra and the Weinberger Kammerorchester. Her symphonic work includes the London Philharmonic Orchestra, BBC Symphony Orchestra, Royal Philharmonic Orchestra, BBC Philharmonic. Emma also studied period performance whilst at the Royal Academy of Music with Nicolette Moonen, and always loves to perform on gut strings. She has performed with the Academy of Ancient Music, Irish Baroque Orchestra and Jonathan Cohen’s Arcangelo. Emma is in much demand as a session player and enjoys collaborations with other chamber ensembles, including Ensemble 360, Acoustic Triangle and the Honeymead Ensemble. Emma is second violin in the Albion Quartet. Ann Beilby is passionate about the unique voice of the viola within the quartet repertoire. Hailing from Sydney where she made her solo Opera House debut at age 18, Ann’s career spans solo work, chamber music and principal. She also features on numerous recordings for film and television. As a founding member of the Cavaleri Quartet, Ann established a uniquely sensitive, virtuosic and insightful approach. Ann has performed in the Wigmore Hall, Musikverein, Elbphilharmonie, and the Auditorio Nacional de Música in Madrid. The Cavaleri quartet were recognised in major international competitions, including the Hamburg International Chamber Music Competition, Osaka International Chamber Music Competition, as well as the Premio Paolo Borciani String Quartet Competition. They released several discs, and forged strong relationships with many composers, including Hugh Wood and Giya Kancheli. Major festival appearances included the Schubertiade of Austria, Festspiele Mecklenburg-Vorpommen and the Edinburgh Fringe. Over the years, Ann has been fortunate to have been mentored by many outstanding performers, notably Guenther Pichler, Andras Schiff, Valentin Erben and Menahem Pressler, and has worked with a diverse range of musicians including Matthew Barley, Ensemble 360, Sven Helbig and Björk. 2019 is an exciting year as she embarks upon her career as part of the impressive and innovative Albion Quartet. She plays on a wonderful modern viola, made for her by David Milward in 2011. Nathaniel Boyd, has appeared at the world’s leading concert halls, including the Wigmore Hall, Concertgebouw, Berlin Konzerthaus and the Paris Opera. 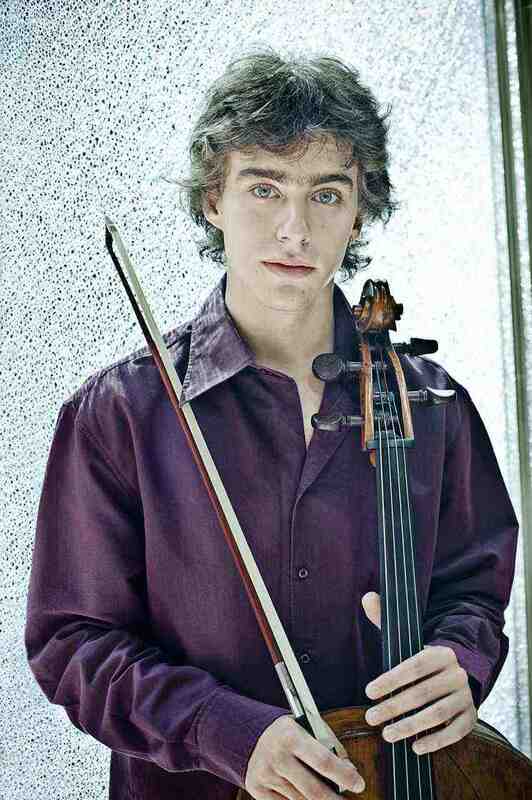 Described as an ‘exceptionally gifted’ recitalist by Musical Opinion following a concert with duo partner Alexander Boyd at the Purcell Room in 2013, Nathaniel is a laureate of numerous prizes for his work with the Navarra String Quartet, including the MIDEM Outstanding Young Artist Award, Cannes (2008), Florence International Chamber Music competition, First Prize (2005) and a Borletti Buitoni Fellowship (2007) as well as being selected for representation by YCAT and as a soloist, by the Tillett Trust (2009). His recordings of Vasks’ Quartets and Haydn’s Seven Last Words, with the Navarra Quartet, both received 5 star reviews from BBC Music Magazine. 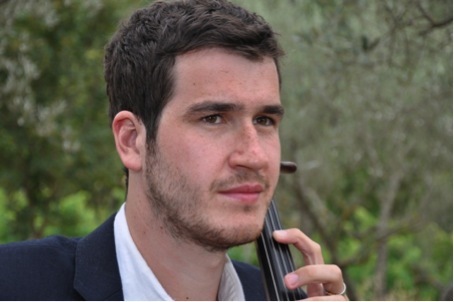 Nathaniel has appeared as Principal Cellist with major UK orchestras including the Scottish Chamber Orchestra, Orchestra of Opera North, Manchester Camerata, the Royal Scottish National Orchestra and Aurora Orchestra. Chamber music highlights last season included recitals at the Esterhazy Palace, Hungary, the Concertgebouw in Amsterdam and the Purcell Room, London. 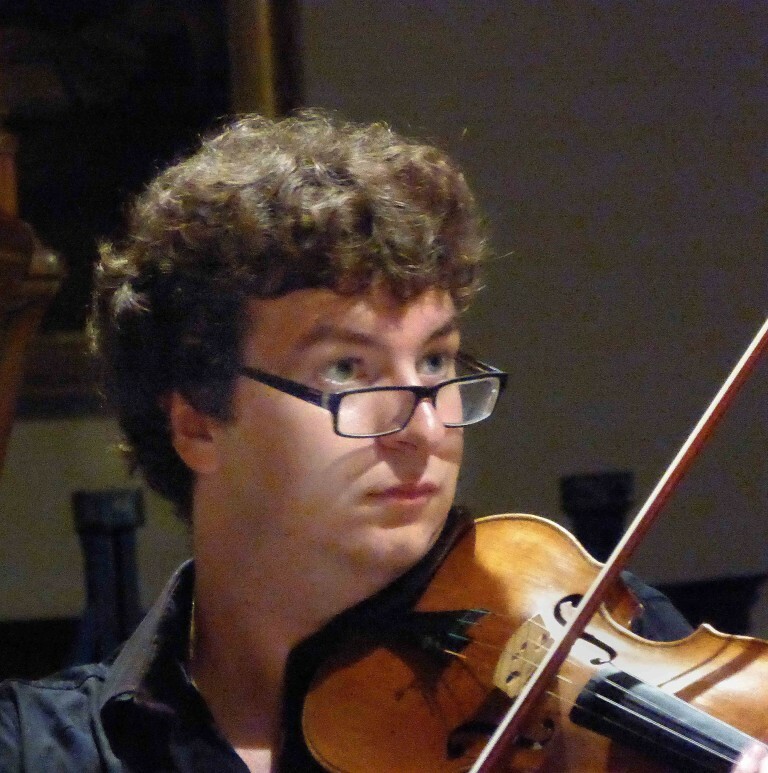 Recently Nathaniel was resident at the North York Moors Chamber Music Festival, the Southwell Festival and the Roman River Festival. Nathaniel is cellist in the Albion Quartet.